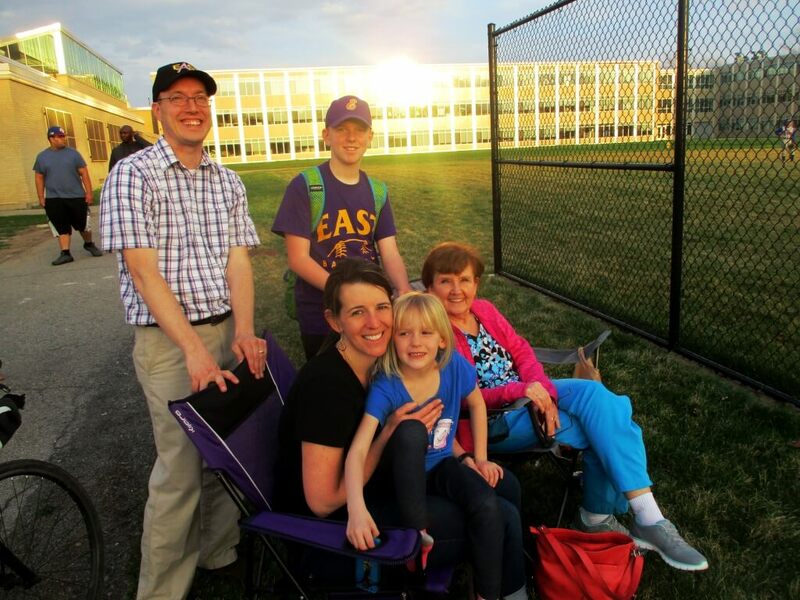 East teacher Paul Conrow ’95 and family. Michael ’22 to his right. Elizabeth Conrow with Emily ’30. To their right is Barbara DeMatters, mother and mother-in-law. Paul’s mother ’68 was at the game earlier. Paul’s children are third generation East. As we did during last year’s magical season, in Following a historic season, East baseball opens with back-to-back no hitters. and Excitement grows on Culver Road as East wins third straight. 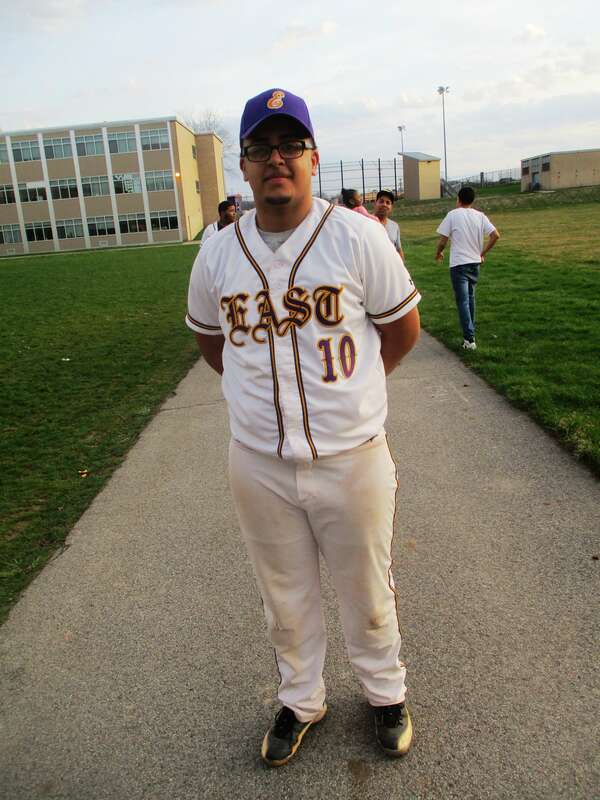 we’ve been following what can be another historic season for East baseball. 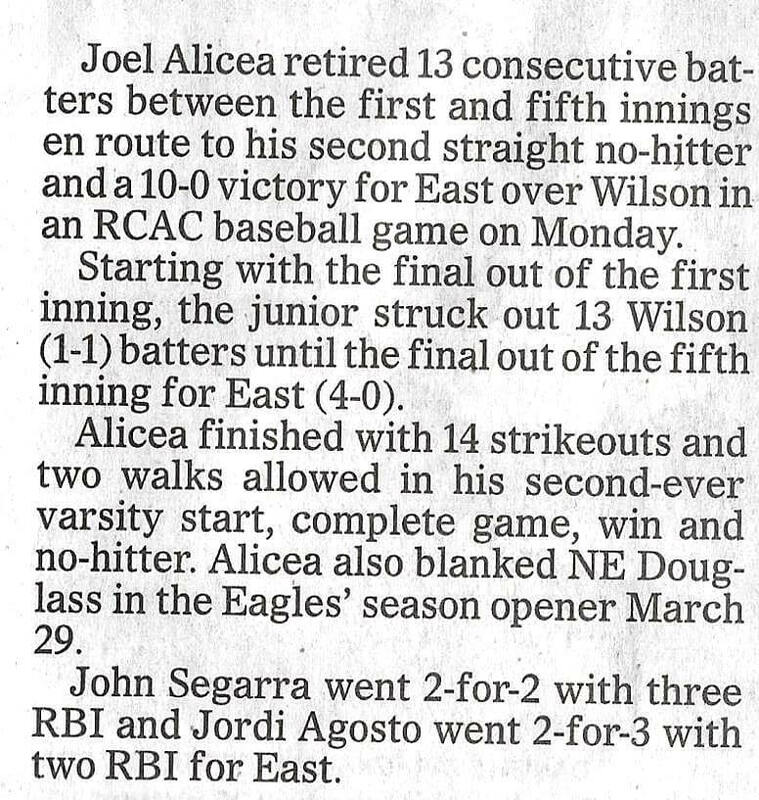 Joel Alicea pitched his second straight no-hitter. This season Joel has given up only one ball hit out of the infield, striking out double digits in each game. Today, East ran its record to 4-0 with a lopsided victory over Wilson. 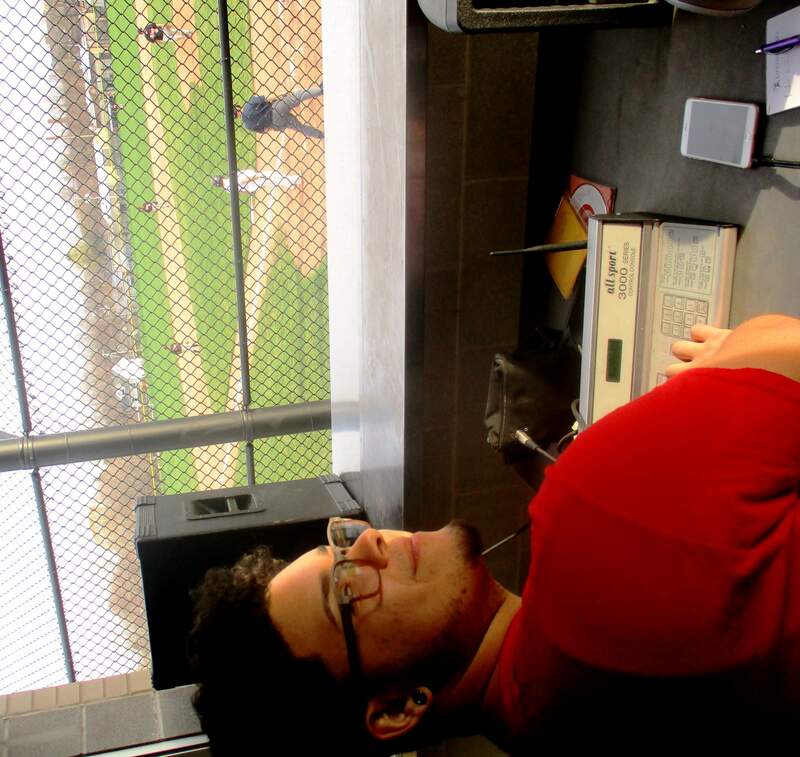 I had a great view from the press box where East senior Yonatan Montes was running the scoreboard. Yonatan had gotten a got a quick primer on pressing the ball and strike buttons and was flawless. 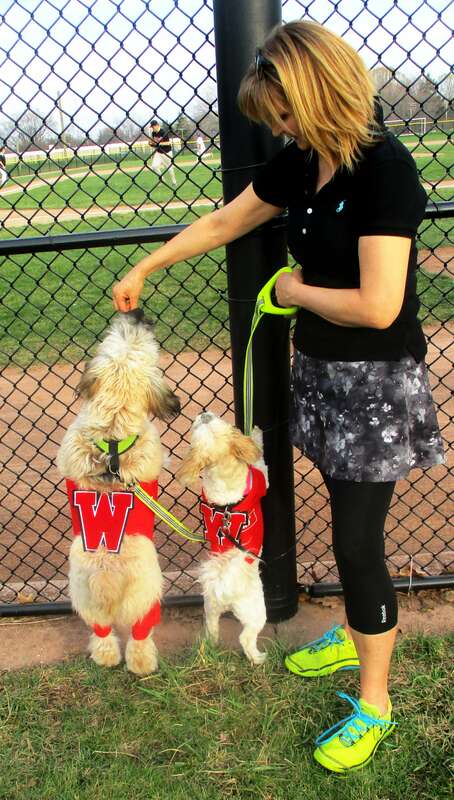 Wilson fan Patricia Gallivan. The large dog is Riley and the smaller one is Mona. Like the whole East community, Yonatan is psyched about this season that so far has been all East. Yonathon knows many of the team’s top players: Joel Alicea, Pablo Garcia, Jordi Agosto, John Segarra, Lemuel Matos, Sam Rapp and Jean Carlos. Actually, East beat Wilson by more than 10 runs. But in the common sportsmanship within the RCAC the scoreboard stays at ten. After last season’s loss in the sectionals, Yonatan says the players dedicated themselves to this season; all played summer ball to hone their skills. Yonatan says the young men live for baseball, each hoping to win an athletic or academic scholarship to play in college. Today, Wilson was a little overmatched, but Wilson super mom Patricia Gallivan was rooting on the team. Her son Finn pitches for Wilson and her daughter Sophie is a Wilson alum. Patricia says even though she is for the Wildcats, RCAC fans are proud of East’s accomplishments. East senior Yonatan Montes in the press box. Paul Conrow’s daughter, Samantha ’21 is the catcher. Thanks to Angelis Agosto for taking the picture. Angelis is a junior who pitches and plays left field. With all the excitement on the baseball field, the girl’s softball also drew a big crowd on this picture perfect spring afternoon. The East squad fell to Monroe. 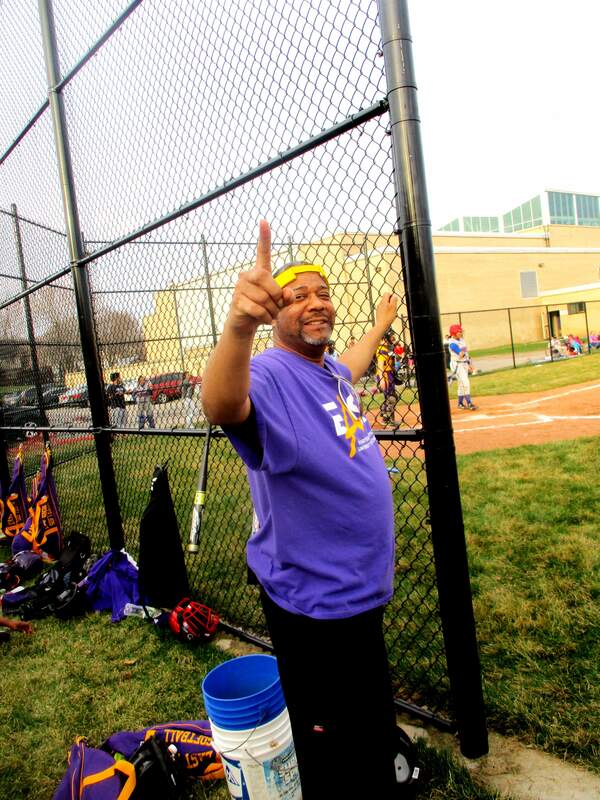 But East coach Robert Moten was leading the charge with gusto. Julia Schmalz of The Chronicle for Higher Education at work on a documentary on the University of Rochester/East High partnership. 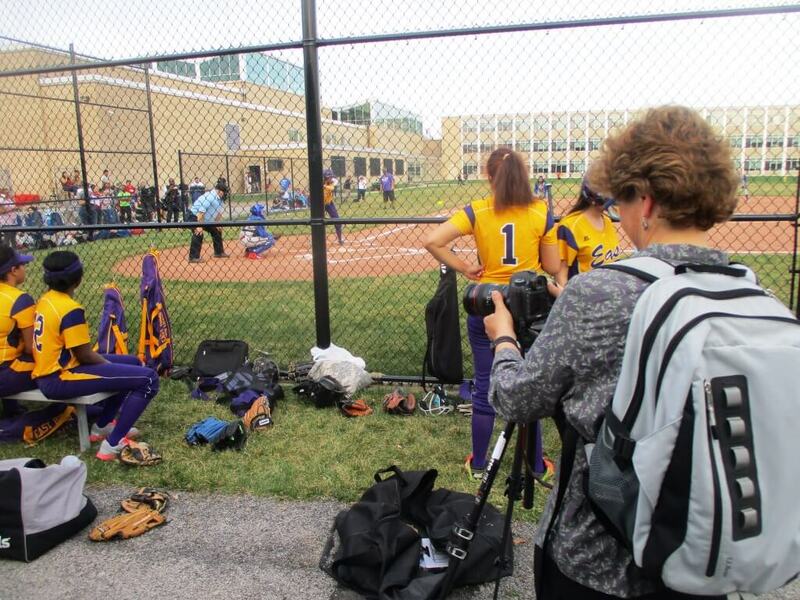 Things are going so well at East this year that Julia Schmalz, a multimedia producer at The Chronicle of Higher Education was at the game making a video. Julia is in Rochester to chronicle the partnership between the University of Rochester and East High. As Julia said, the partnership is one of UR President Joel Seligman’s proudest achievements during his tenure. Finally, at the game was East optics teacher Paul Conrow ’95. Paul’s son, Michael ’22 is on the modified baseball team and his daughter Samantha ’21 is a catcher on the softball team. If you aren’t sure about Paul’s East pedigree, he provided a family tree. That was three East generations cheering today on Culver Road! 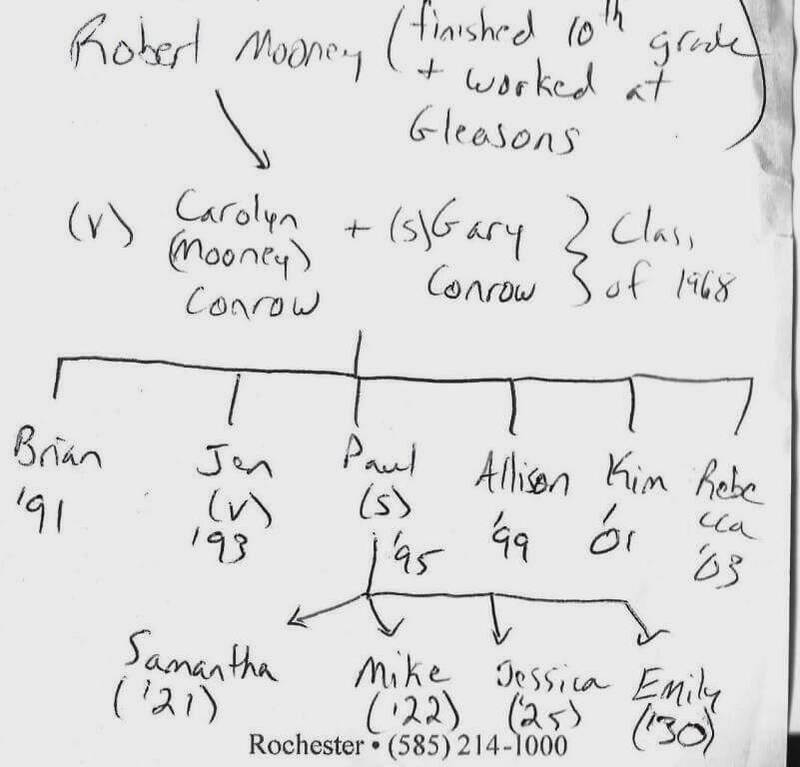 Family tree provide by Paul Conway, East ’95 and an optics teacher at East. 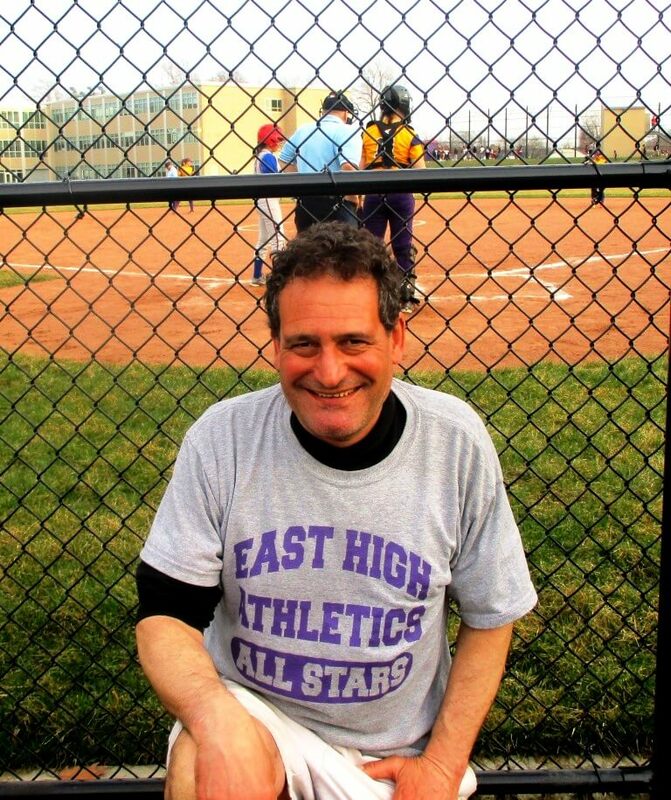 Following a historic season, East baseball opens with back-to-back no hitters. Excitement grows on Culver Road as East wins third straight. Bishop Kearney is next. Bundled up loyalists at Cobb’s Hill watch East stay undefeated. Introducing Yolanda Smilez; Our Queen of Comedy.